My first reaction when I completed the final pages of the book was that Simmons continues to amaze me. Here’s why: he’s hungry. He’s direct. He’s not shy and he also revealed many of the challenges and lessons from both his personal life and his storied career. He could have easily settled years ago and drifted away based on the success of his rock band KISS in the late 1970’s. He chose not to. His goal to build successful businesses and serve his fans is something to applaud, study, and learn from. This book is an excellent and hard-hitting look at success and what is often needed to achieve it. 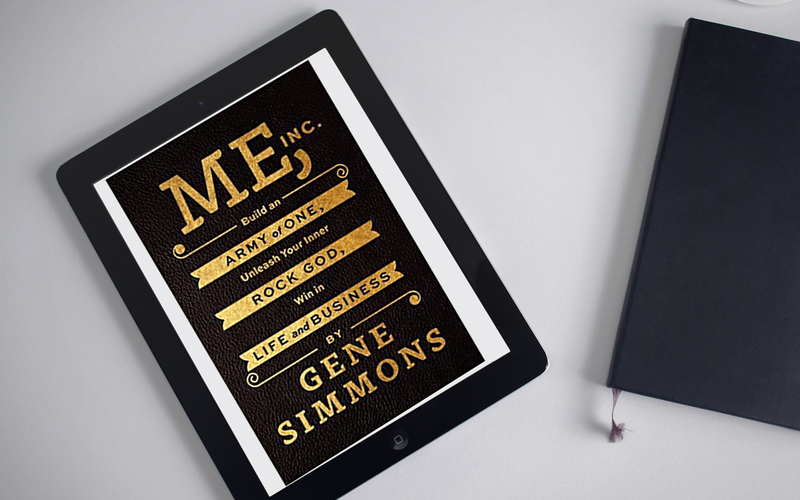 About the author: KISS cofounder Gene Simmons is a multitalented entrepreneur and one of the world’s most recognized personalities. A multiplatinum recording artist, he is also a New York Times bestselling author and has appeared in TV and film, starring in his own reality show on A&E, Gene Simmons Family Jewels, which became the longest-running celebrity reality show of all time.